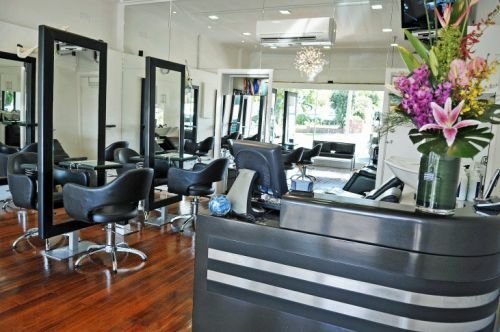 The moment you step inside our chic yet unpretentious boutique salon, you our VIP client, will be instantly greeted and taken care of by our down to earth expert staff. Specialising in designing your perfect look with our innovative colour approach, precision cutting and high fashion blow drying techniques, we also offer full services in Makeup Artistry, Hairstyling, Hair Extensions, Luxurious Hair treatments, Eyebrow and Lash tinting Bridal and Special Occasion Hair and Makeup just to mention a few. Conveniently located only 50mtrs from Strathmore station, we are easily accessible by public transport, along with ample street parking available.